A practice ACT test for tenth graders will be held on March 4th, a half day of school, from noon until about 3:30. LOCATION: Hunter College High School, specific test rooms will be announced prior to March 4th. COST: $35. 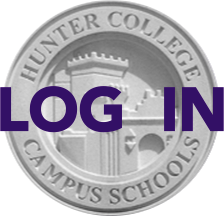 Students can pay by check or money order payable to Hunter College High School for $35 with their name and student I.D. number on ￼the check/money order. This fee will be waived for students on the HCHS or College Board fee waiver list, though students must still register in person to request a fee waiver.